Stephen Harrod Buhner is an Earth poet and the award-winning author of ten books on nature, indigenous cultures, the environment, and herbal medicine. He comes from a long line of healers including Leroy Burney, Surgeon General of the United States under Eisenhower and Kennedy, and Elizabeth Lusterheide, a midwife and herbalist who worked in rural Indiana in the early nineteenth century. The greatest influence on his work, however, has been his great-grandfather C.G. Harrod who primarily used botanical medicines, also in rural Indiana, when he began his work as a physician in 1911. 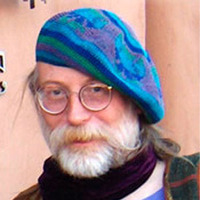 Stephen's work has appeared or been profiled in publications throughout North America and Europe including Common Boundary, Apotheosis, Shaman's Drum, The New Yor Stephen Harrod Buhner is an Earth poet and the award-winning author of ten books on nature, indigenous cultures, the environment, and herbal medicine. He comes from a long line of healers including Leroy Burney, Surgeon General of the United States under Eisenhower and Kennedy, and Elizabeth Lusterheide, a midwife and herbalist who worked in rural Indiana in the early nineteenth century. The greatest influence on his work, however, has been his great-grandfather C.G. Harrod who primarily used botanical medicines, also in rural Indiana, when he began his work as a physician in 1911. Stephen has served as president of the Colorado Association for Healing Practitioners and as a lobbyist on herbal and holistic medicines and education in the Colorado legislature. He lives in New Mexico. “In this process of unlearning, in the process of feeling and hearing the plants again, one comes to realize many things. And of these things, perhaps stronger than the others, one feels the pain of the Earth. It is not possible to escape it.